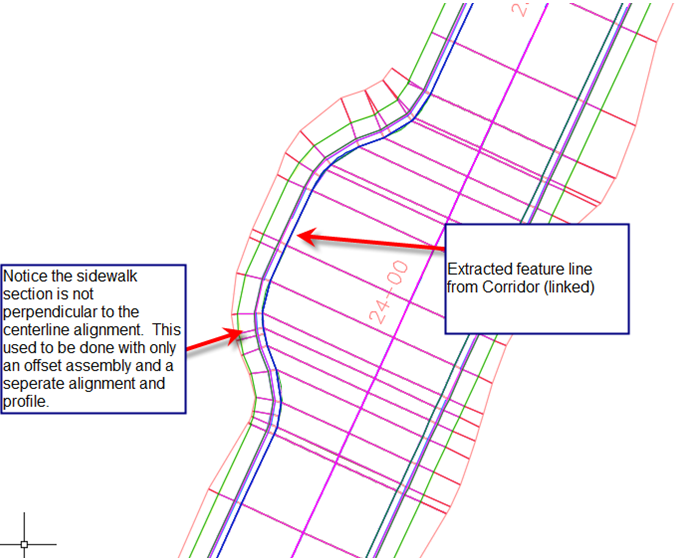 Civil 3D now allows the user to “lock” the feature line elevation relative to any surface. I foresee this being extremely useful for grading design, especially retaining walls where you might want to link the top of the wall relative to a surface. 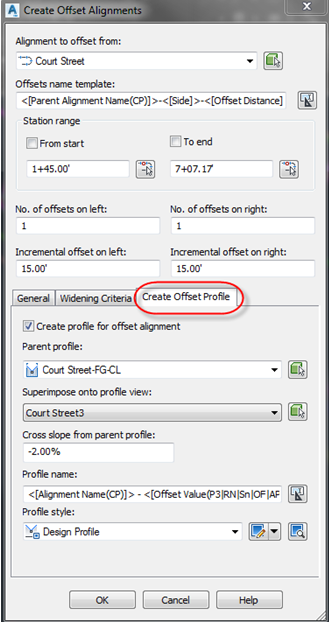 If you have an existing alignment and profile combination you can now create offset alignments and profiles that are linked to the original alignment, dynamically. 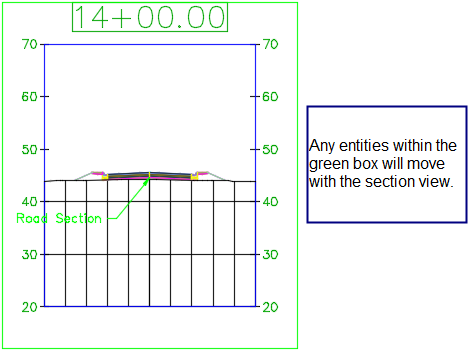 Civil 3D also allows the user to edit the offset options, including adding transition regions. For example if for the first half of the profile you want a cross slope of 2%, but the second half to be 3%. I foresee this helping with corridor design for roads and channels, as well as other instances. 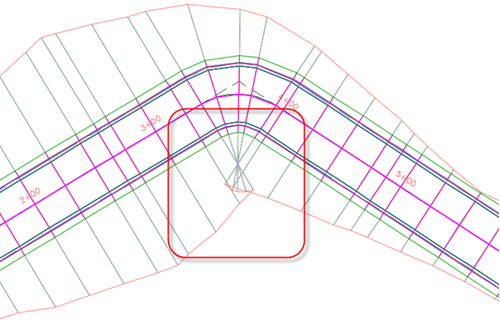 If you add a widening to original offset alignment, Civil 3D also keeps the cross slope through the widening with transitions (see below). 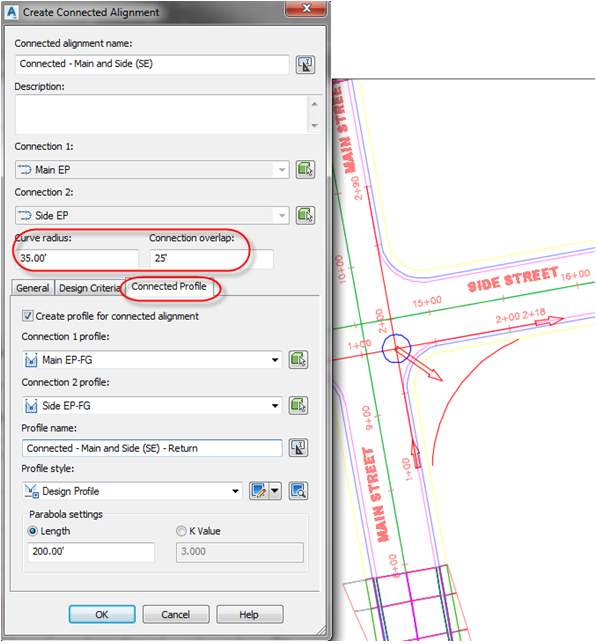 Civil 3D now allows users to create connected alignments and profiles similar to the intersection tools, without having to create an intersection. The user needs to have 2 defined alignments and profiles prior to the command being run, and the alignments must intersect. The command is located under the alignment drop down in the home panel. If the associated profiles or alignment are changed in any way the connected alignment and profile will update without having to do this manually as before. 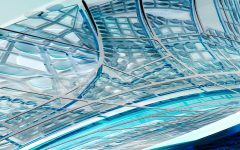 In Civil 3D 2018 you can now extract feature lines from a corridor, have them linked, and allow you to use those as a baseline in the same corridor. 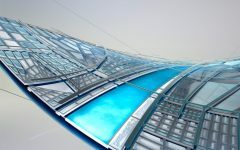 In previous versions, you could not have the feature line linked; and therefore, if the design changed, you have to re-extract the feature line again. I foresee this making the workflow for knuckles and road turnouts much more streamlined. This also decreases the need for many, complicated assemblies, instead you can build several simple assemblies and apply them where necessary. 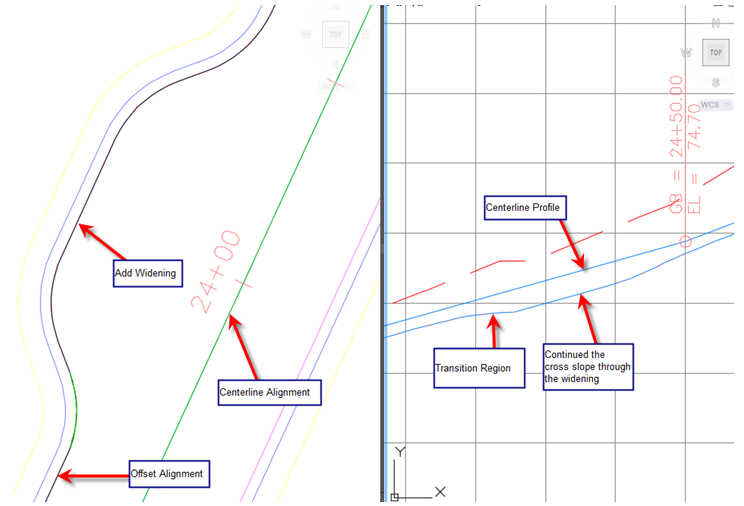 Civil 3D 2018 now allows basic drafting and AutoCAD linework to follow the section view when moving or refreshing the section views. 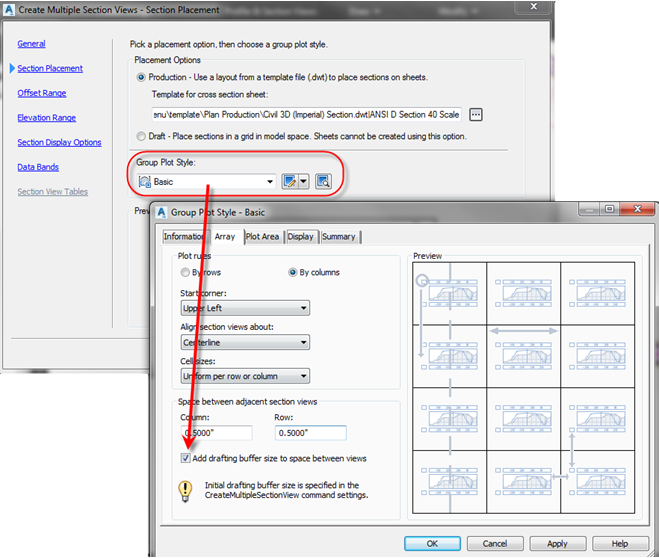 Also, when you add a section to the section view group all AutoCAD linework moves with section view. In order to use this functionality it must be checked in the group plot style (see figure below). One limitation is that if you edit the exaggeration of the section view style, the text doesn’t stay in the location relative to the section view, so you would have to move it manually in that case. 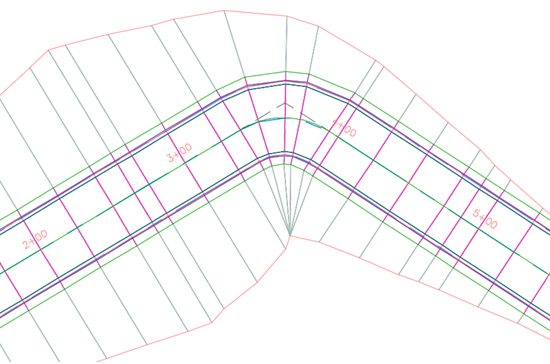 Civil 3D 2018 has given the ability for user designed cleanup of overlaps for a corridor (bowties). We’ve been asking for this for a long time, and I find this long overdue. Locate an overlap, select the corridor, and then choose the “Clear Corridor Bowties” from the ribbon. You will need to select the alignment entities and decide the location for the overlap. A limitation with this feature is that it must be done in the same region.